Long Hill Tree & Lawn Care has been pruning all types of trees since 1972. We take great pride in custom pruning to make trees safer, healthier and more beautiful. Every tree has it's own unique characteristic and therefore should be pruned accordingly. The Long Hill Crew goes through vigorous training on how to prune a variety of tree species and their unique requirements. 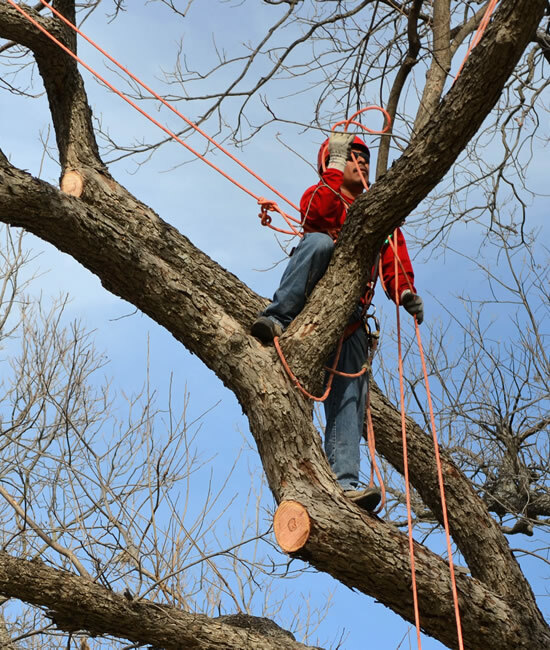 We have certified arborists on staff to consult on every job so you can have peace of mind that any cuts that are made are the right ones for your tree. Tree pruning can be performed all year round. Some advantages of pruning in the winter is easier equipment access onto the property and no damage to flowers which are dormant at this time. To assure proper technique and maintain optimal health and tree structure, your tree should only be pruned by a state licensed arborist. Contact us today to learn more about custom tree pruning, removal, and our other tree care services. Tree removal is the last resort when it comes to tree health care. Unfortunately, it becomes necessary when trees become a potential hazard to surrounding life and property. 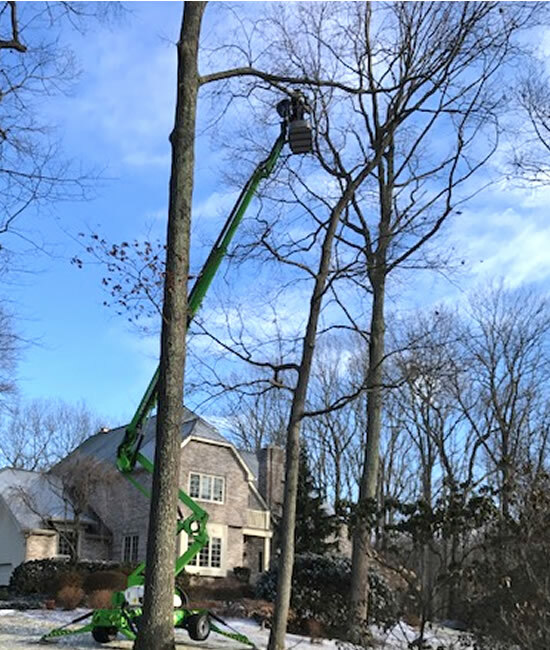 Safety is our main focus when removing trees. 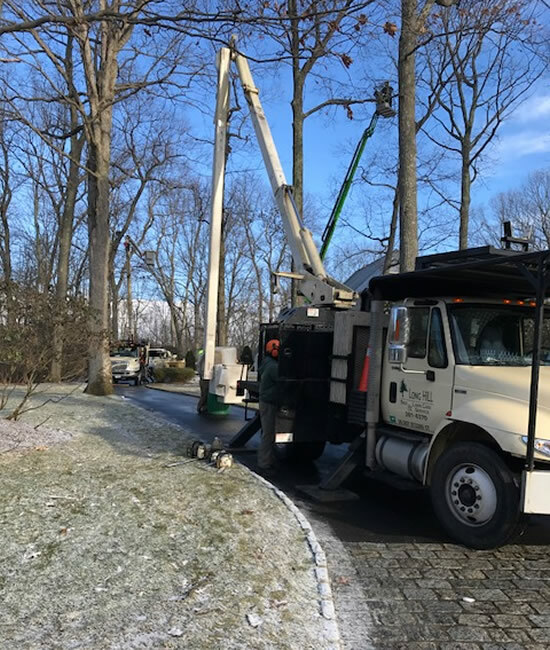 Long Hill Tree and Lawn Care is fully insured and our tree technicians go through vigorous safety training on a regular basis. We also utilize the latest technology and equipment to efficiently complete all jobs. We are highly trained to remove trees with minimal damage to surrounding property or vegetation. Some companies simply do not have the staff safety training or experience to ensure an incident-free tree removal. And because we work on some of the region's premier properties we have earned a reputation for integrity and cleanliness. We take pride in a thorough clean-up of debris to restore every property to it's original condition. 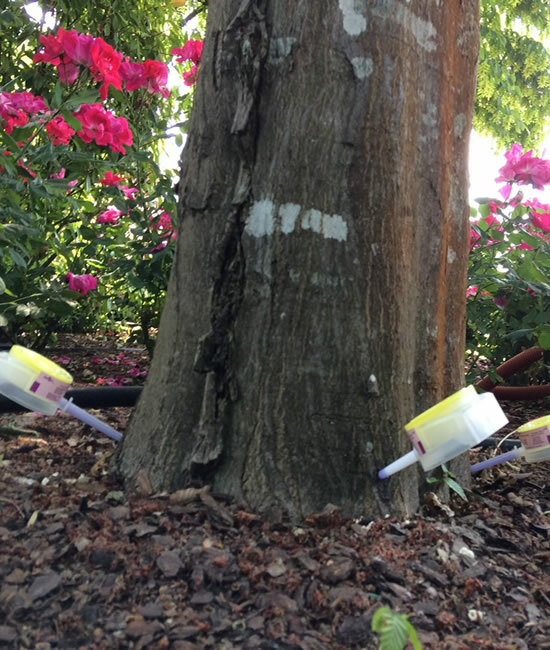 Tree and shrub fertilization enhances and extends the life of landscapes. Like all living things, plants require nutrients in order to grow strong and healthy. In a suburban environment, tree and shrub root systems are impacted by driveways, foundations, stonewalls and construction. Additionally, they are under stress due to the lack of organic matter in the soil, competition with turf and other vegetation for remaining nutrient supply and water, as well as compacted soils and drought. Long Hill Tree & Lawn Care offers both liquid and granular slow release products that provide sufficient nutrients to the plant year round. Fertilizing trees and shrubs helps to correct these deficiencies in landscapes. The best time to fertilize is in the spring or fall, during both growth periods and periods of rain. Long Hill Tree and Lawn Care can perform a professional inspection by our Certified Arborist of your mature trees to help them continue providing you with protection, comfort and beauty for years to come. Mature trees can be the most beautiful part of a landscape and at the same time can be the most hazardous due to weak limbs or trunks. The main focus of a professional annual inspection is to determine the integrity of your trees, and how they may affect the safety of surrounding life and property. Cables and bracing rods help to redistribute wind and weight stress and reduce the likelihood of a structural failure. This should also be combined with pruning to reduce end-weight. 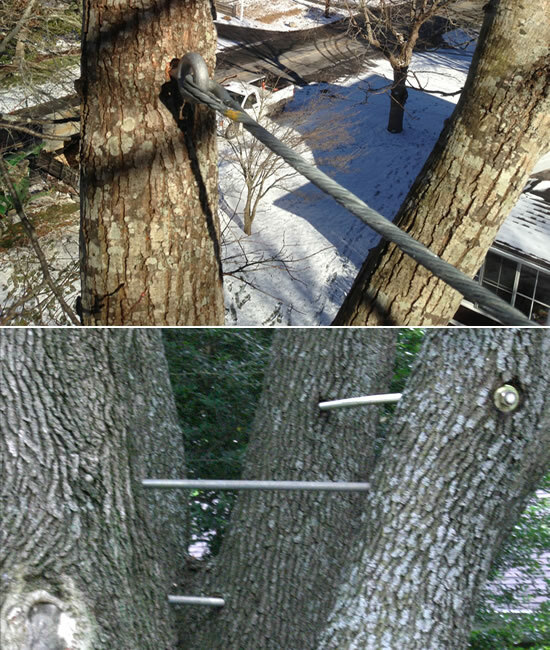 When properly installed, these devices can stabilize trees during high winds, rain storms and added snow weight. They can also address existing splitting limbs and trunks, and protect against future structural issues. Did you know that preventative tree care can save you thousands of dollars in potential damage or expensive tree removal services? Proper care and maintenance provides a safer working environment, which can also reduce liability and the potential for serious injury. Long Hill Tree and Lawn Care Service has been servicing commercial accounts since 1972. We've built strong and lasting relationships with our clients through professional integrity, personalized service and quality workmanship. We work with you to develop a health and safety maintenance plan for your trees. This includes pruning, stabilization or removal of unsafe trees, and fertilization to replace lost nutrients which will improve tree and shrub resistance to disease, insect and drought stress damage too. Our staff is highly trained and experienced with commercial accounts including municipalities, businesses, cemeteries and golf courses. Give us a call! We welcome the opportunity to discuss your tree maintenance needs. Call with questions or set up an appointment. Call on Long Hill to handle the maintenance and care of your commercial property. Valuable tips and seasonal info from our Arborists and expert tree techs. Find our why our customers have trusted us to care for their properties for nearly 5 decades!